Self Branded Product Development – Happening NOW !!! 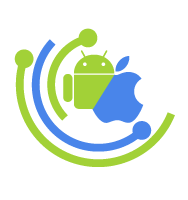 2020Applock – Best Applock for Android. Protect privacy of your content on your device (tablets, smartphones) with password or pattern. 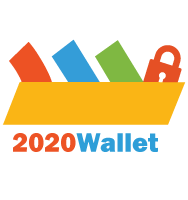 2020Wallet helps you to save all your Credit/Debit cards, important documents & protects all your passwords in a single app. Switching your mobile devices is now much easier with MobileSwitch. Transfer all your contacts, calendar events etc. Photo Printing from Phone is now easier. Click, Collect & Hold your Memories. 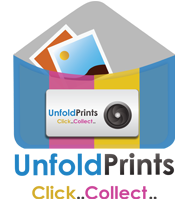 Print and hold your moments with UnfoldPrints. 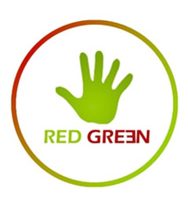 Best Android Optimizer, App Manager, Speed Booster, Secures Data, App Lock & Battery Saver - Red Green helps Speed up & Clean up your android device. 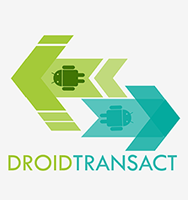 Droid transact is a solution that helps to reduce revenue outflow from the App store owners by redirecting the In-app billing calls from Google Play to App Store calls. 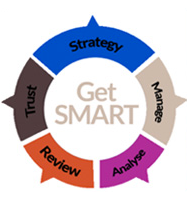 Smart Data Solution is an SAAS based key to provide recommendations based on user profile data aggregated from various apps for iOS and Android. UnfoldLabs helps Enterprise and mid-market companies with their mobile and cloud strategies for success. UnfoldLabs has the experience and expertise to talk to your teams, understand the current products, strategy and provide innovative solutions around newer products and services. UnfoldLabs has experience in bringing new products to market for startups as well as larger companies. UnfoldLabs is an Innovative Products and Services Company based in Sunny San Diego, California. As technology trends are growing/changing at a tremendous rate, organizations need to re-focus and align with the new waves to keep pace with the changing trends and technology. The professionals at UnfoldLabs are there to help you capture these changes through innovation and reach new heights. We are an agile team specializing in mobile, cloud and new product development/ innovation, who can take you from pure ideation to complete product development and marketing, ensuring a high level of success in the US market. We are very pleased to announce that UnfoldLabs has been selected as one of the "Top 30 Most Innovative Companies in the United States" by the CEO Views Magazine. The original copy of the article can be found here and the local copy can be found here. Our very own "RedGreen", the first product of UnfoldLabs, has been shortlisted as a "Finalist by Fierce Innovation Awards 2018". The original copy of the article can be found here and the local copy can be found here. "Five Reasons Why IoT Is Not Ready For Prime Time". The original copy of the article can be found here and the local copy can be found here. UnfoldLabs was chosen as the "30 Most Innovative Companies 2018" by CIO Bulletin. The original copy of the article can be found here and the local copy can be found here. Another milestone knocked out by RedGreen. It is selected as one of the popular application by "ThePopularApps.com". Take a moment to check it out. The original copy of the article can be found here and the local copy can be found here. "Four Trends in Cloud Computing CIOs Should Prepare For In 2019". The original copy of the article can be found here and the local copy can be found here. UnfoldLabs was selected as one of the "Top 10 Best Mobility Companies 2018". The original copy of the article can be found here and the local copy can be found here. Asokan Ashok, CEO of UnfoldLabs, was presented the most renowned award of "10 Most Innovative Business Leaders To Watch" in March 2018 by Insights Success, the Best Online Enterprise Journal. The original copy of the article can be found here and a PDF version is also available here. UnfoldLabs was selected as a winner in "Fierce Innovation Awards 2017" in the category of Cloud Services. The original copy of the article can be found here and the local copy can be found here. Our First Product from UnfoldLabs, "RedGreen", an Innovative Android Application was chosen as a Finalist at "CTIA Emerging Technology (E-Tech) Awards 2016", an industry leading consortium.